The timelessly beautiful dishes, cups, bowls and cutlery sets for kids in the littlehipstar online store show that kids’ tableware doesn’t necessarily have to be gaudy or glaringly colorful. 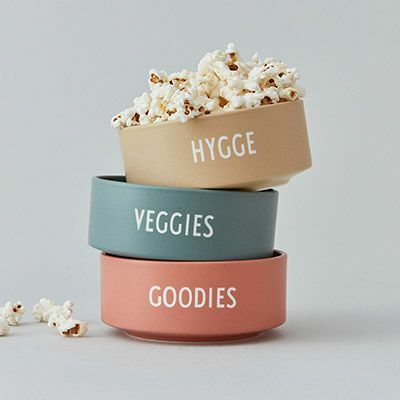 The Design Letters label from Denmark, for example, designs durable kids’ tableware made of melamine for everyday use, featuring the minimalistic straight lines of Arne Jacobsen’s typographical creations. Our tableware selection is practical for every day of the week, with fabulous designs made using only materials that are free of harmful substances. Dishes for babies and kids are put to the test several times in the course of a day. So it’s good if those dishes are made of a material that is sturdy and free of harmful substances and offer you peace of mind and easy handling every mealtime. To ensure that veggies and co. remain the stars of your dinner, we’ve chosen kids’ dishes, cups and bowls whose design is simple yet special. The kids’ dishes and cutlery from Design Letters are made of break-proof melamine and printed with beautiful letters. Black-and-white design at its most appealing and with a great side-effect: Kids get an easy head start on learning their ABCs. The recurring alphabet motif is found on the plates, bowls, mugs, cups, cutlery and placemats. The Dishes and placemats for babies and kids at our store have meanwhile become popular as gift ideas. Sippy cups also make a great little gifts for you to bring along on your next visit. That’s why at littlehipstar we now have a selection of kids’ cups with the corresponding lids. In the category gifts for less than EUR 30, you’ll find even more ideas that are sure to make someone happy.